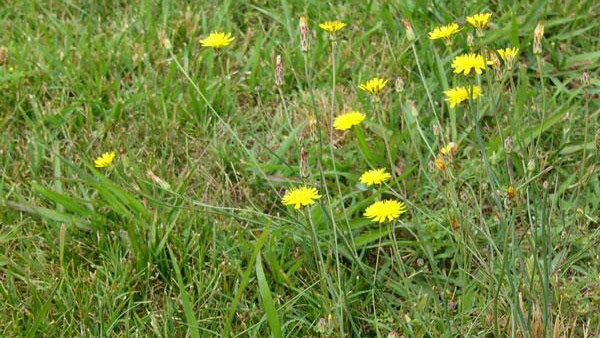 Cat's ear dandelion is a perennial weed that is similar to common dandelion. 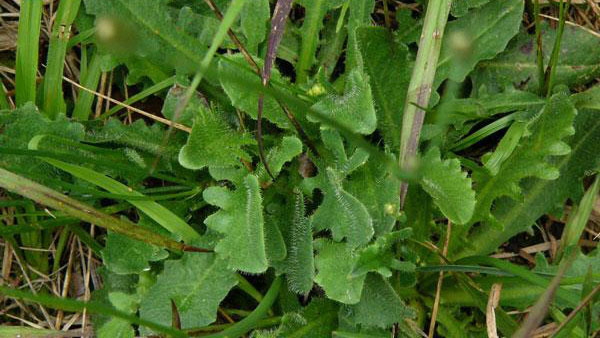 It has a basal rosette of densely hairy leaves with rounded lobes. 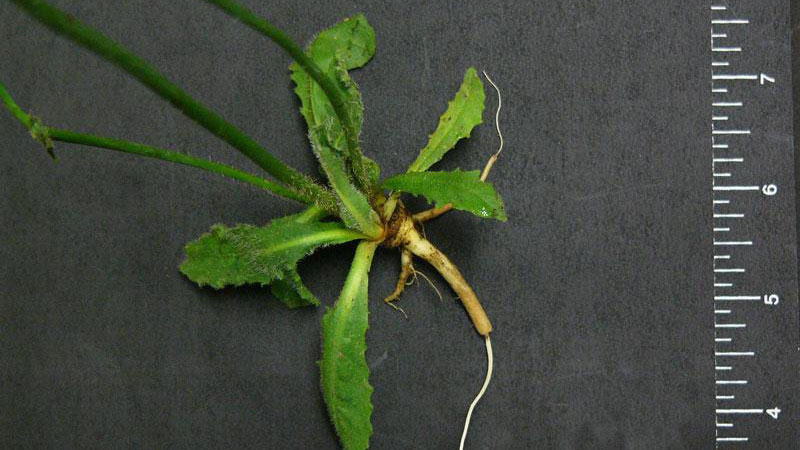 This rosette arises from a prominent taproot. 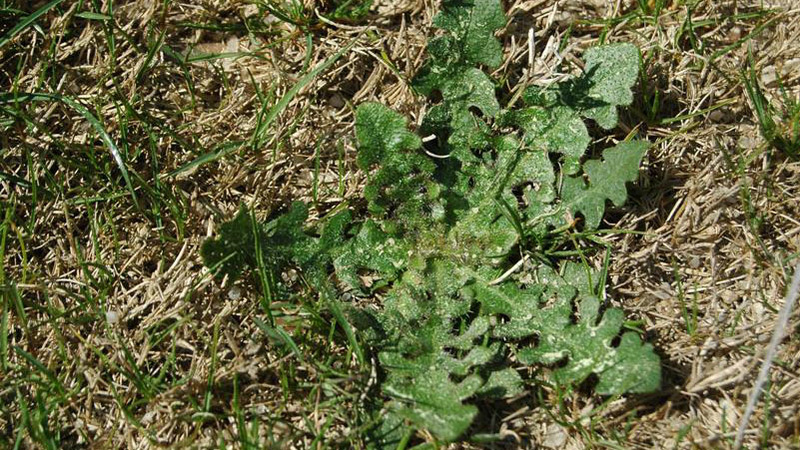 If broken, the leaves and flower stalks will emit a milky white sap. 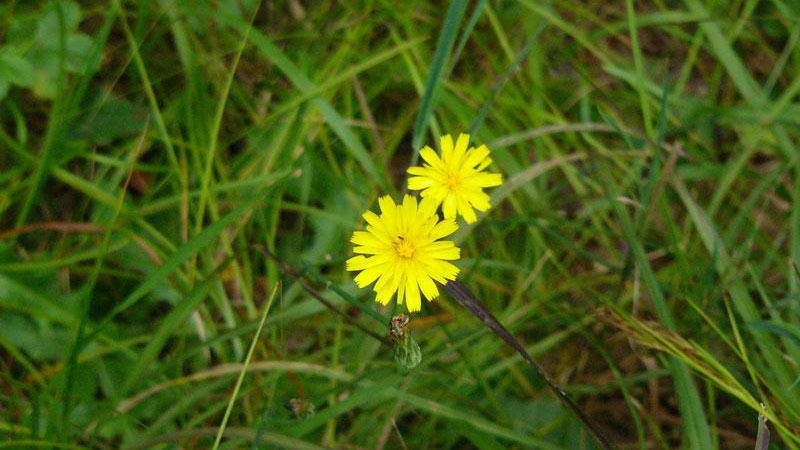 Most striking are the bright yellow flowers that are borne on the ends of long stems. 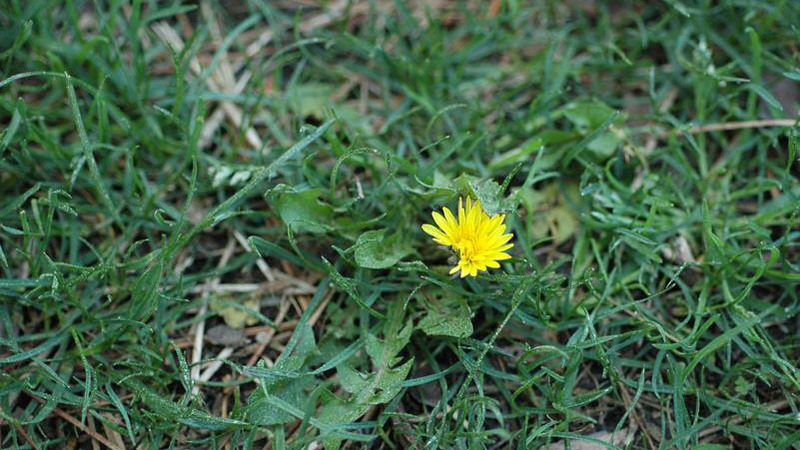 Common dandelion plants can be distinguished because young leaves do not have hairs, whereas cat's ear dandelion leaves have dense hairs. 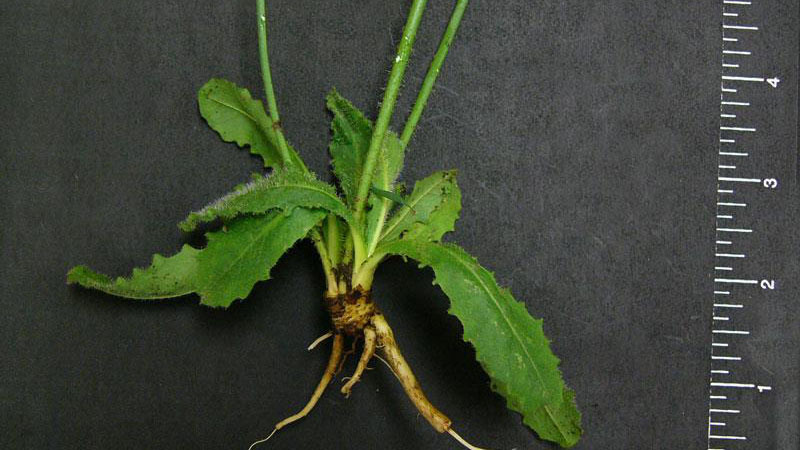 In addition, the leaves of common dandelion are more deeply notched than those of cat's ear dandelion. 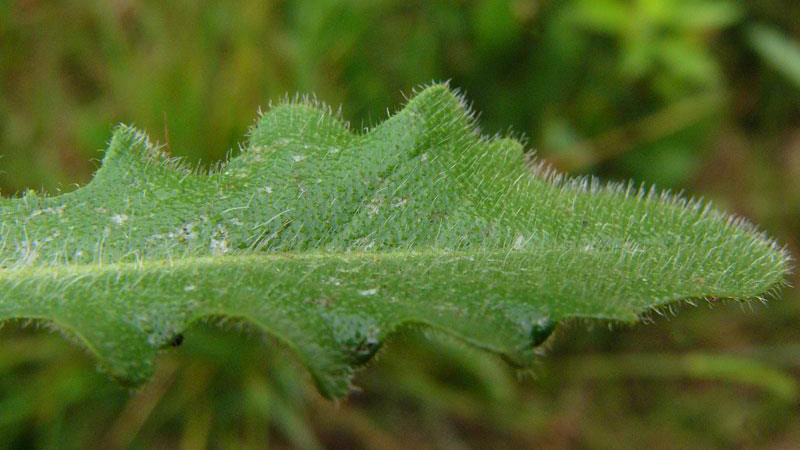 On common dandelion, the leaf notches extend almost to the midrib of each leaf. Precaution and Remarks: May be used on annual and perennial bluegrass, annual and perennial ryegrass, tall and fine fescue, creeping and colonial bentgrass, common and hybrid bermudagrass, and zoysiagrass. For use in ornamental turf, golf courses, lawns, sod farms, cemeteries, and parks. Optimum results when applied when temperatures are between 45 and 75 degrees F but may be applied up to 90 degrees F. Lower rates may be used in cooler weather. Rainfast within 3 hr and may reseed after 2 week. May apply 3 to 4 wk after sodding, sprigging, or plugging. Also may be used on bahiagrass, buffalograss, St. Augustinegrass, centipedegrass, seashore paspalum, and kikuyugrass. May reseed after 1 week. Figure 1. 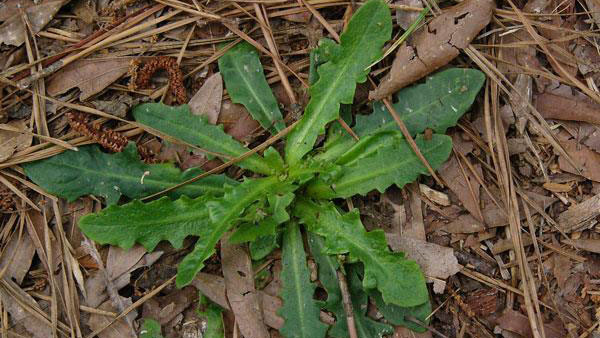 Cat's ear dandelion growth habit. Figure 2. 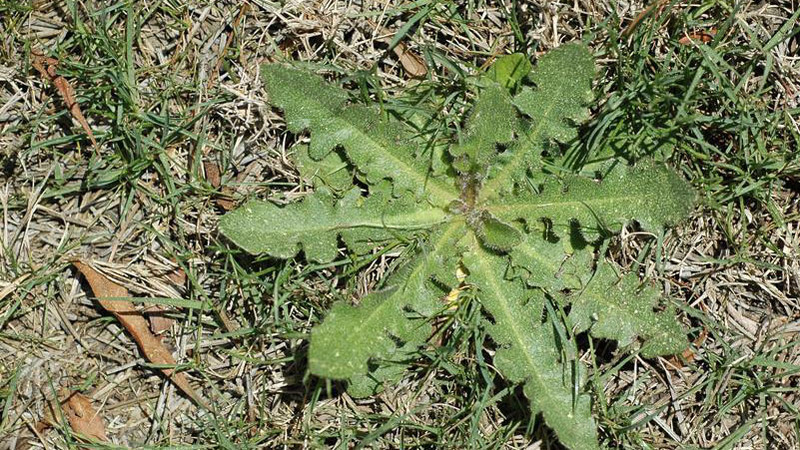 Cat's ear dandelion growth habit. Figure 3. 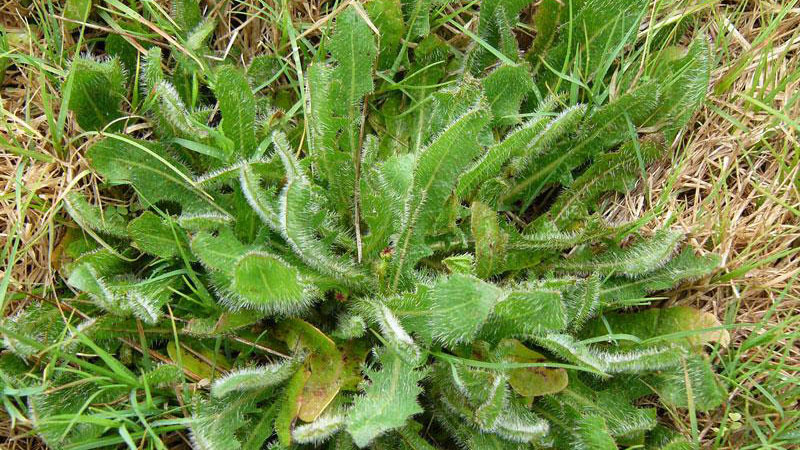 Cat's ear dandelion growth habit. Figure 4. 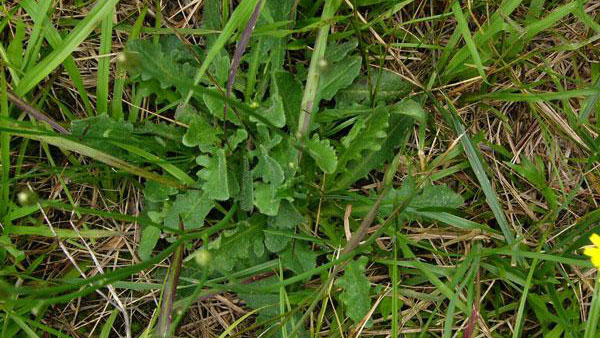 Cat's ear dandelion growth habit. Figure 5. Cat's ear dandelion growth habit. Figure 6. 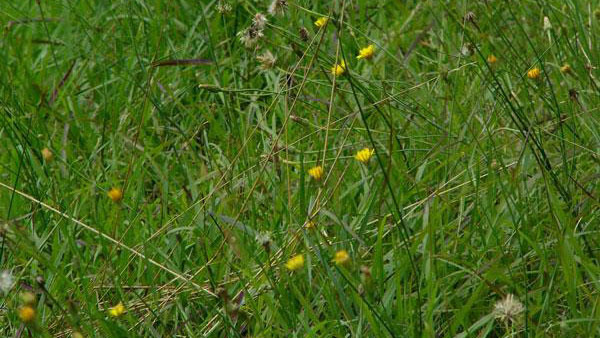 Cat's ear dandelion growth habit. Figure 7. 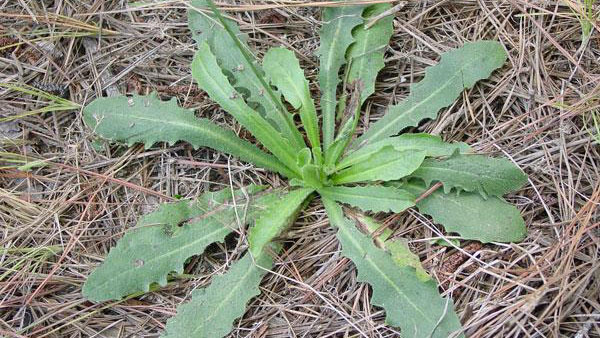 Cat's ear dandelion growth habit. Figure 8. 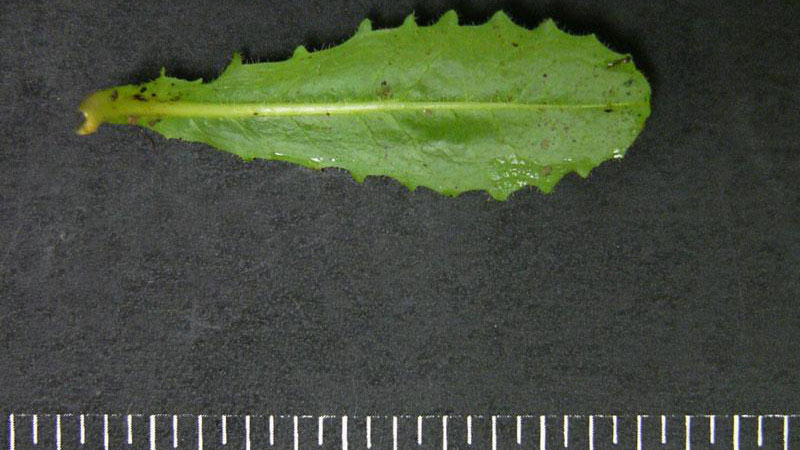 Cat's ear dandelion leaf margin. Figure 9. Cat's ear dandelion leaf margin. Figure 10. Cat's ear dandelion leaf margin. Figure 11. Cat's ear dandelion leaf margin. Figure 12. Cat's ear dandelion leaf margin. Figure 13. Cat's ear dandelion leaf hairs. Figure 14. Cat's ear dandelion flower color. Figure 15. Cat's ear dandelion flower color. Figure 16. Cat's ear dandelion flower color.